As required by the Basketball Victoria Member Protection By-Laws, this attachment sets out the screening process for people in our association who work, coach, supervise or have regular unsupervised contact with people under the age of 18 years. Identify positions that involve working, coaching, supervising or regular unsupervised contact with people under the age of 18 years. Obtain a completed Member Protection Declaration (MPD) from all people who are identified in the above step and keep it in a secure place. Provide an opportunity for a person to give an explanation if a MPD isn’t provided or it reveals that the person doesn’t satisfactorily meet any of the clauses in the MPD. We will then make an assessment as to whether the person may be unsuitable to work with people under the age of 18 years. If unsatisfied we will not appoint them to the role/position. Where possible, check a person’s referees (verbal or written) about his/her suitability for the role. Make sure that the person being interviewed/screened has a valid Working with Children Check (WWC) issued by the Victorian government.Our organisation recognises two (2) exceptions to the Working with Children Check – police officers and teachers. These personnel will not be required to have a Victorian WWC for the positions identified in Step 1. This attachment will help you identify what is meant by good practice and poor practice. doing things of a personal nature that the children can do for themselves. When a case arises where it is impractical/impossible to avoid certain situation e.g. transporting a child in your car, the tasks should only be carried out with the full understanding and consent of the parent/care and the child involved. If during your care you accidentally hurt a child, the child seems distressed in any manner, appears to be sexually aroused by your actions and/or if the child misunderstands or misinterprets something you have done, report any such incidents as soon as possible to another colleague and make a written note of it. Parents should also be informed of the incident. It is not the responsibility of anyone working for our association in a paid or unpaid capacity to decide whether or not child abuse has taken place. However, there is a responsibility to act on any concerns through contact with the appropriate authorities so that they can then make inquiries and take necessary action to protect the child. This applies BOTH to allegations/suspicions of abuse occurring within our association’s activities and to allegations/suspicions that abuse is taking place elsewhere. This attachment explains how to respond to allegations/suspicions. NOTE: Please also read the Victoria State Government’s Education and Training website for further information on child protection reporting obligations. This website will provide you with information on the concerned authorities to be contacted when child abuse has taken place and the procedures to be followed for making a report of child abuse to the concerned authorities. We may become aware of possible abuse in various ways. We may see it happening, we may suspect it happening because of signs such as those listed above or it may be reported to us by someone else or directly by the child affected. stay calm so as not to frighten the young person. reassure the child that he/she is not to blame and that it was right to tell. listento the child, showing that you are taking him/her seriously. keep questions to a minimum so that there is a clear and accurate understanding of what has been said. The law is very strict and child abuse cases have been dismissed where it is felt that the child has been led or words and ideas have been suggested during questioning. Only ask questions to clarify. Inform the child that you have to inform other people about what he/she has told you. Tell the child this is to help stop the abuse from continuing. safety of the child is paramount. If the child needs urgent medical attention call an ambulance, inform the doctors of the concern and ensure they are made aware that this is a child protection issue. Report the incident to the association’s welfare officer. 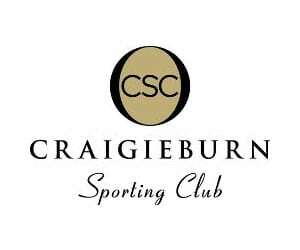 Craigieburn Basketball Association expects its members and staff to discuss any concerns they may have about the welfare of a child IMMEDIATELY with the person in charge and subsequently to check that appropriate action has been taken. If the nominated Association welfare officer is not available you should take responsibility and seek advice from the duty officer at your local social services department or the police. Telephone numbers can be found in your local directory. As mentioned previously in this document, Craigieburn Basketball Association’s employees and volunteers are not child protection experts and it is not their responsibility to determine whether or not abuse has taken place. All suspicions and allegations must be shared with professional agencies that are responsible for child protection. Allegations of abuse are sometimes made sometime after the event. Where such an allegation is made, you should follow the same procedures and have the matter reported to social services. This is because other children in the sport or outside it may be at risk from the alleged abuser. Anyone who has a previous conviction for offences related to abuse against children is automatically excluded from working with children. Report your concerns to the welfare officer. If the welfare officer is not available, the person being told or discovering the abuse should contact their local social services department or the police immediately. Social Services and the welfare officer will decide how to inform the parents/carers. The welfare officer should also report the incident to Basketball Victoria. We will ascertain whether or not the person/s involved in the incident play a role in the organisation and act accordingly. assess and endeavour to comply with local traditions or restrictions for reproducing personal images before photographing or filming a child. obtain informed consent from the child and parent or guardian of the child before photographing or filming a child. As part of this one must explain how the photograph or film will be used. ensure photographs, films, videos and DVDs present children in a dignified and respectful manner and not in a vulnerable or submissive manner. Children should be adequately clothed and not in poses that could be seen as sexually suggestive. ensure images are honest representations of the context and the facts. ensure file labels, meta data or text descriptions do not reveal identifying information about a child when sending images electronically or publishing images in any form. understand that the onus is on him/her to use common sense and avoid actions or behaviours that could be construed as child exploitation and abuse.